If you think about it, non-profits face many of the same challenges startups do. Growing a team, marketing, business development – all on a shoe-string budget. And then there’s the near-universal challenge: finding funders that share your vision. The six non-profit organizations that participated in this month’s Mentor Day, produced by Refresh Miami and Capital One, represented a true cross-section of Miami. Their missions ranged from increasing affordable housing to providing more access to capital to helping homeless pets. Others promoted community engagement in the arts, soccer and among women of color. But each came to get help with an entrepreneurial challenge such as fund-raising, attracting brand and media exposure and improving their web presence. At the Mentor Day held at the Capital One’s Capital One Café in Coral Gables, the six were each paired with an expert for a 45-minute session. 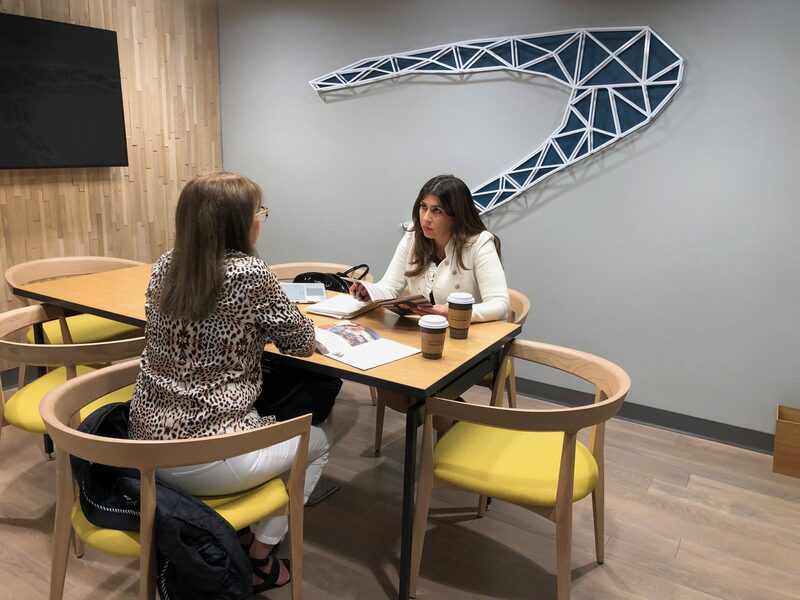 Maria Derchi Russo, executive director of Refresh Miami, a hub for Miami’s tech and startup community, said she hopes to continue the Mentor Days from time to time as well as other projects and events to help non-profits navigate technological and entrepreneurial challenges. As a non-profit itself, Refresh Miami understands the strain on resources and budgets that organizations face, Derchi said. “This led us in 2016 to organize Hack-for-Good, a hackathon pairing non-profits with local tech talent to solve some of their biggest challenges through the use of technology. The reception was incredible – over 40 non-profits applied – so we knew we were on to something. After the hackathon ended, we wanted to find additional ways to support these organizations so we pitched the idea of hosting non-profit mentor hours to Capital One. Given all the resources they provide to non-profits, they jumped at the chance to get involved,” Derchi said. At this month’s event, Fabiana Estrada, director of lending in the Southeast for ACCION, got paired with Jennifer Diliz, director of marketing and PR for Kip Hunter who has more than 15 years’ experience working with brands. Diliz was able to help Estrada learn how to get ACCION more brand more exposure at its upcoming event May 2 for small business owners in the food and beverage industry. ACCION has been providing financial education and loans to entrepreneurs since 1991, but this time it was ACCION getting the education. “It’s a pleasure to see how many in Miami want to give back to the community. I hope what Capital One and Refresh Miami do will lead the path for more or similar initiatives to help organizations like ACCION to achieve our mission to empower small business owners with financial education and access to capital,” said Estrada. Yolanda Berkowitz is founder and president of Friends of Miami Animals, whose mission is to save and improve the lives of homeless pets through education, advocacy, financial support and increased awareness. She wanted advice about board development for her 3-year-old non-profit. 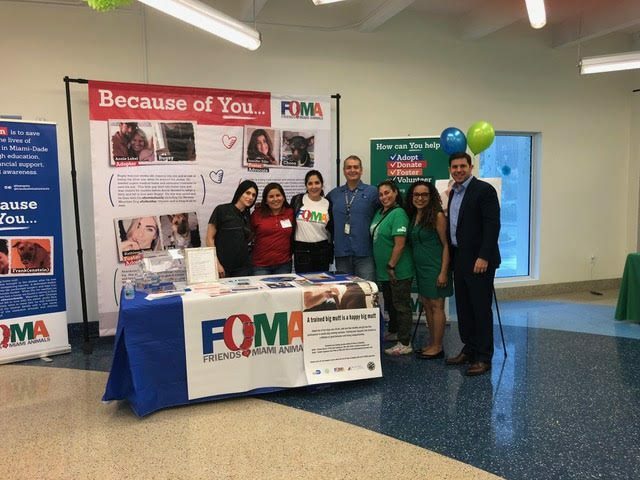 Through the session, she was able to see even more value in her non-profit’s close work with Miami-Dade Animal Services and its own support of the high volume, high intake open admission shelter that takes in nearly 30,000 animals a year. She also sees the value in continuing to build relationships and collaborations with other like-minded individuals and groups, she said. 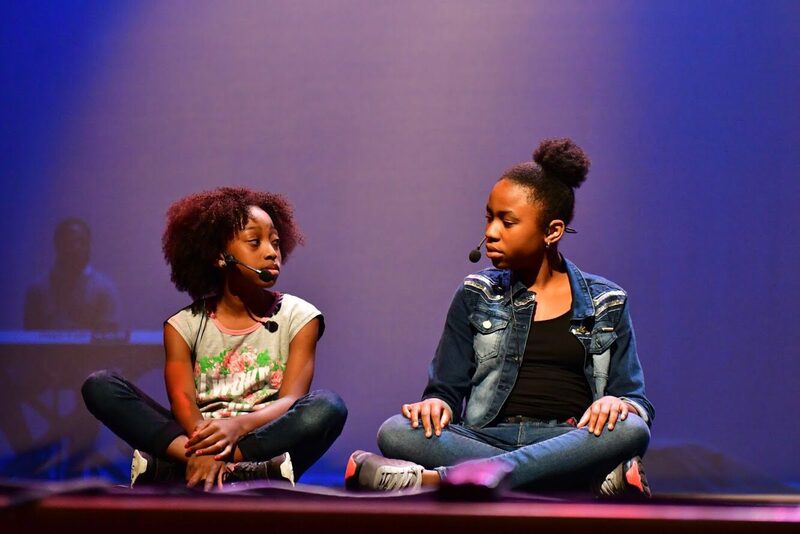 Darius V. Daughtry is the artistic director of Art Prevails Project, which provides access to artistic experiences, including performances, events and art education. “The Mentor Day was a fantastic event. Rarely does one have an opportunity to have direct and authentic communication with a professional with knowledge and experience enough to tangibly impact what is happening in their organization. I got some great insight and actionable items that I’ve already begun to implement,” he said. 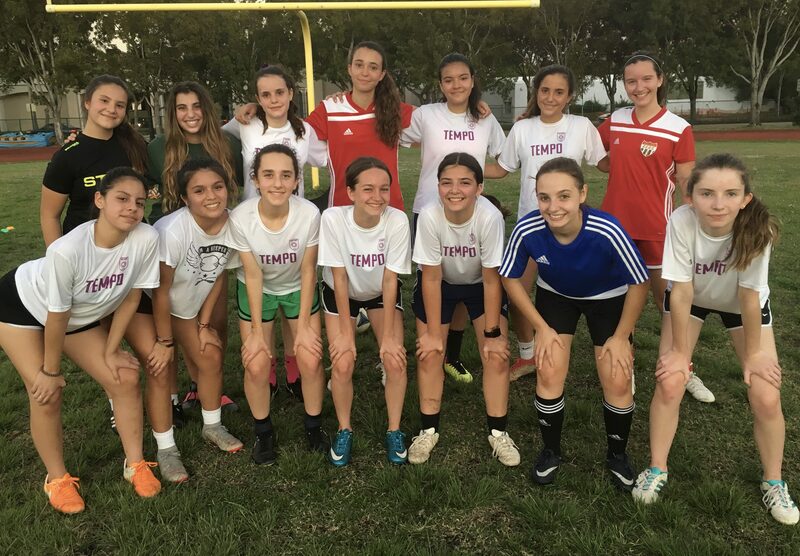 Justin Aguirre is the founder of Miami Tempo, a nonprofit with the mission of inspiring and empowering girls through soccer. He started it in 2017. Diliz helped him understand how important marketing was and showed him practical ways of improving his website. She also advised him to seek out a mentor for the long run. “I also learned that having not just a short-term but a long-term business plan is key for the future growth of my non-profit,” Aguirre said. For Capital One, the Mentor Day concept was a success. 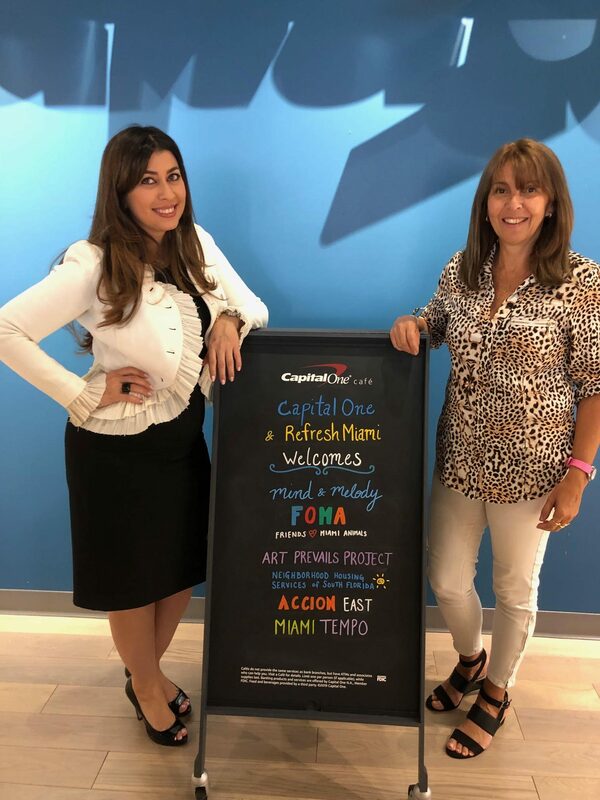 “We’ve partnered with Refresh Miami in a variety of ways before, but this was our first time collaborating on an event like the recent Mentor Day held at our Capital One Cafe on Miracle Mile. It was easy to connect the dots – our Cafe team has built incredible relationships with local non-profits doing vital work in our community like L.E.A.P. and Casa Valentina and while they’re great at delivering the services they provide, these organizations might have opportunities when it comes to business development, branding or their web presence – so when Maria pitched the idea of helping bridge those gaps by bringing subject matter experts in those areas to provide pro bono consulting in our Cafe, we were totally on board,” said Andrew Winninger, Capital One Cafes Business Development Manager. Expect more events focused on non-profits in the future from these two organizations. That’s good because the important work these nonprofits do pays dividends for the community.